For those running legitimate copies of Windows 7 SP1 or Windows 8.1, you can now reserve your free upgrade to Windows 10 Get Windows 10: It's Not a Virus! Get Windows 10: It's Not a Virus! The Get Windows 10 icon in your system tray is not a virus. It's Microsoft's official upgrade note prior to the official release of Windows 10 on July 29th, 2015. Read More which is coming at the end of July. But what if your computer isn’t compatible to upgrade to Windows 10 Is Your Computer Compatible with Windows 10 & Can You Upgrade? Is Your Computer Compatible with Windows 10 & Can You Upgrade? Windows 10 is coming, possibly as soon as July. Are you eager to upgrade and will your system be eligible? In short, if your computer runs Windows 8, it should also run Windows 10. But... Read More or you’re not ready to take the leap, yet? Does that mean you’re out of luck? Windows 10 is ever-evolving with new features Windows 10: The Dream Of A Cross-Device Operating System Is Becoming Reality & It's Free Windows 10: The Dream Of A Cross-Device Operating System Is Becoming Reality & It's Free Microsoft is boldly stepping into the future with innovative software and hardware. Windows as a service and mobility of experience were the major keywords from the recent Windows 10 briefing. Most importantly, Windows 10 will... Read More , including a new Windows 10 gaming backbone Here's How Gaming Will Work With Windows 10 Here's How Gaming Will Work With Windows 10 With Windows 10, Microsoft is bringing PC gaming and the Xbox One together in a big way. Find out what to expect once Windows 10 arrives. Read More , and while some of these functions can be replicated within Windows 7 and 8, not all of them can. If you desire the fullness of Windows 10, but you can’t upgrade, then yes, you’re out of luck. 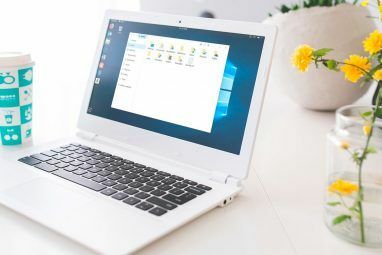 But if you’d be happy with a reasonable approximation, then we have good news for you: there’s an easy-to-use transformation pack that will make you feel like you’re running the newest version of the operating system—even if you’re still on Windows XP, 7, or 8. WindowsXLive, a website dedicated to all kinds of Windows interface tweaks and modifications, recently came out with version 3.0 of their Windows 10 Transformation Pack. If you think the name is an overstatement, it isn’t. It really gets down deep. All you have to do is download the installer file, set the configuration options according to what you want, and let it do it’s thing behind the scenes. Various Windows 10 features can be toggled with the relevant checkboxes. So what exactly does the pack change? Implements genuine Windows 10 system resources. System files are kept up-to-date and auto-repaired. Themes, wallpapers, and login screens from Windows 10. Relevant sounds, cursors, icons, and fonts. Multiple desktops (also known as virtual desktops How to Increase Your Virtual Desktop Space How to Increase Your Virtual Desktop Space Feeling overwhelmed by all the windows you need open for various tasks or jobs? If this windows clutter causes you stress, virtual desktops are for you. Read More ). New Start Menu design 6 Ways to Hack & Customize the Windows 10 Start Menu 6 Ways to Hack & Customize the Windows 10 Start Menu The Windows 10 Start Menu combines classic elements with modern tiles. Tiles can add a lot of creative freedom. We'll give you tips and reveal tricks for customizing the entire Start Menu to your preferences. Read More with Cortana-like search. The tricky part about the Windows 10 Transformation Pack is that it tampers with system files. Doing so is what allows it to give you the deep emulation of what Windows 10 offers, but altering system files is always risky, so we recommend setting up a System Restore point Should You Refresh, Reset, Restore, or Reinstall Windows? Should You Refresh, Reset, Restore, or Reinstall Windows? Ever wanted to reset Windows 7 without losing personal data? Between a factory reset and a reinstall, it was tough. Since Windows 8, we have two new options: Refresh and Reset. Which one is right... Read More before giving this a try. The Transformation Pack works with all versions starting with Windows XP. If you try it and don’t like it, simply re-run the uninstaller and it will revert everything back to the way it was. If it doesn’t, fall back on the System Restore Point that you made. Not everyone is open to the risks of system tampering, which is why WindowsXLive provides a not-as-risky, but not-as-awesome alternative in the Windows 10 UX Pack. Just to be clear, the UX Pack is still a full-blown visual makeover that will make you feel like you’re running Windows 10. But if we think of the Transformation Pack as a 90% faithful replication, then we can think of the UX Pack as a 70% faithful replication. It’s not perfect, but it’s certainly good enough. So what’s included with the UX Pack? Themes, wallpapers, and logon screens from Windows 10. Relevant sounds, cursors, and fonts. Start Orb built from authentic Windows 10 resources. Multiple desktops (also known as virtual desktops Use 10 Virtual Desktops To Boost Productivity With Just One Screen [Windows] Use 10 Virtual Desktops To Boost Productivity With Just One Screen [Windows] Ever since I started using a second monitor, I realized that I just can't get enough screen space. Every task seems to require so much display real estate. When I'm editing, I like to have... Read More ). New Start Menu Get A Modern Start Menu For Windows 7 & 8 Get A Modern Start Menu For Windows 7 & 8 A new Start Menu can be a good way to bring something fresh to any version of Windows. This article looks at creative Start Menu alternatives and replacements that work on both Windows 7 and... Read More design with Cortana-like search. Again, without the system files, you won’t get the full experience. It will be easy to tell that you’re running a re-skinned Windows 7 or 8 whereas the Transformation Pack makes it almost indistinguishable from Windows 10 for anyone who isn’t specifically looking for inconsistencies. Which brings up another point: while the Transformation Pack is available for Windows XP and beyond, the UX Pack only works with Windows 7 and 8. Which Features Are Still Missing? 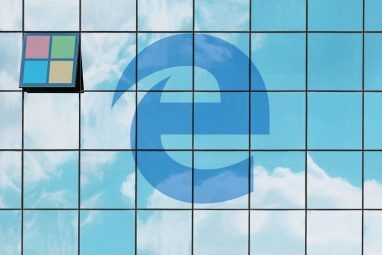 Even with the Transformation Pack, there are a few features of Windows 10 that simply can’t be ported over to earlier versions without expending a considerable amount of blood, sweat, and tears. Two of the more desirable features are the notification center and the Cortana personal assistant. The new notification center is a central place where all system alerts and messages will reside. 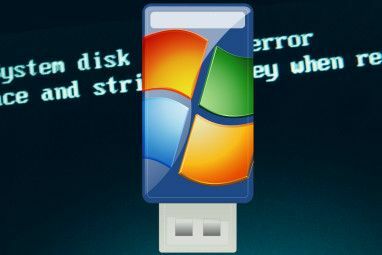 While there’s no way to get an exact replica of its functionality, there is a third-party tool that offers something similar: Growl for Windows [No Longer Available]. Be warned that it will require a bit of setup to get right, and the latest release is from 2013. As far as Cortana is concerned, you won’t find one that lives up to the same level of comprehensiveness. After all, Cortana does have the full backing of Microsoft’s resources behind its development. 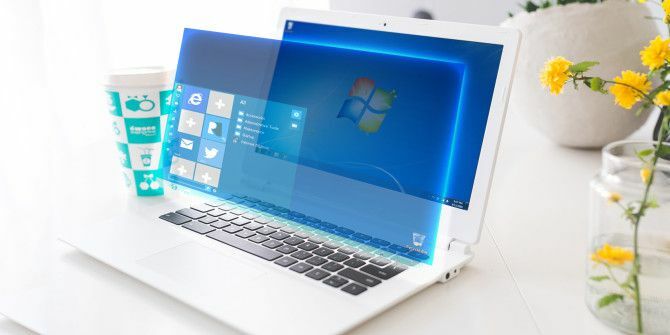 In addition to all of the above, there are a couple of other novel Windows 10 features How To Get Novel Windows 10 Features On Windows 7 Or 8.1 How To Get Novel Windows 10 Features On Windows 7 Or 8.1 It's time to upgrade your Windows experience. Short of installing a new operating system, you can get awesome features with third party applications. Windows 10 is not that novel after all. Read More that you may want, including the OneGet Package Manager (our OneGet preview Windows Gets A Package Manager - Download Software Centrally Via OneGet Windows Gets A Package Manager - Download Software Centrally Via OneGet Microsoft is adding yet another Linux feature to Windows. Package management can seriously boost productivity, increase security, and ultimately save you a lot of headache. We show you how it will work. Read More ), which makes it easy to manage the programs installed on your system. If your computer is able to make the upgrade, but you’re avoiding it for some reason, we recommend that you reconsider. It turns out that Windows 10 will be the final version Windows 10 Is the Last Version of Windows. Ever. Windows 10 Is the Last Version of Windows. Ever. Microsoft is sick of you not upgrading, and has a solution: Windows 10 will be the final "version" of Windows. Ever. This could mean that you will never again have to buy Windows. Read More of the operating system, meaning that sooner or later you’ll need to migrate over anyway (unless you switch to Linux Migrating From Windows 7 To Ubuntu: The Ultimate Guide Migrating From Windows 7 To Ubuntu: The Ultimate Guide Despite what all the Linux haters say, choosing Ubuntu is logical and migrating from Windows 7 & to Ubuntu is a breeze. This article summarizes the process and provides solutions to the most common beginner... Read More ), so why not take advantage while it’s free? Is the Windows 10 Transformation Pack satisfactory for you? Which Windows 10 features are you looking forward to? Are you going to upgrade or will you stay back? Share with us in the comments below!